With over 50yrs years of combined experience and continuing education, our dedicated staff is ready serve you and your beauty needs. 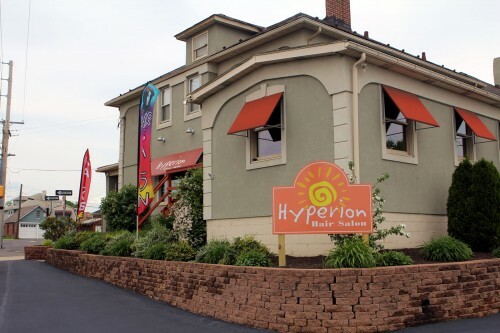 You can put your trust in Hyperion Hair Salon. We provide personal service and exceptional quality. Our unparalleled service, competitive prices, and overall value are why our loyal customers won’t go anywhere else. We look forward to serving you at our convenient location just off Rt. 22 in Easton, PA. We are just minutes from Bethlehem, Nazareth and Phillipsburg and are honored to be considered one the Lehigh Valley’s premier Hair Salons.